Omni have never sounded like they’re trying very hard. They don’t really have to. 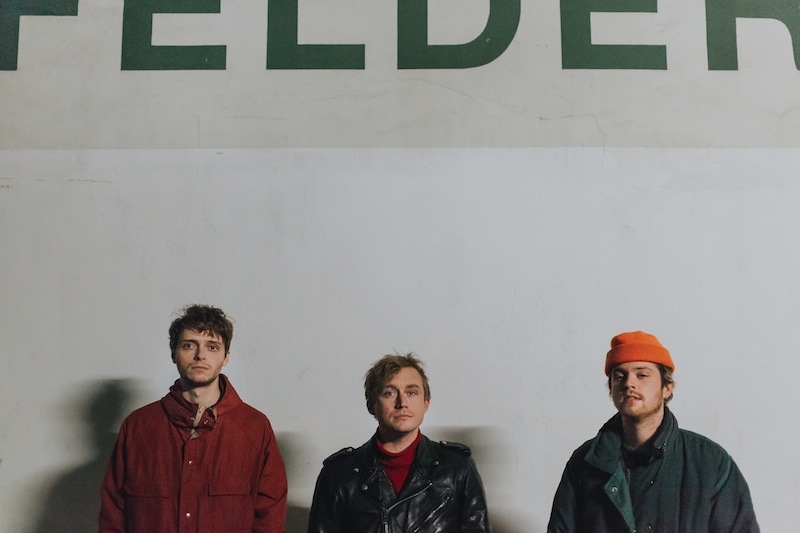 There’s an intangible sense of ease within their music—each song in their rapidly expanding catalogue develops naturally through instrumental fluxes of bright melodies and split-second hooks. Just because Omni don’t look like they’re trying doesn’t mean they cut corners. 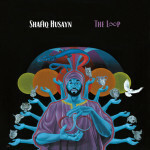 Their music thrives in its own nuance, constructed for repeated consumption and analysis. Omni’s straight-forward post-punk only reveals its density over time through covert instrumental quips and riffs, easily capable of worming their way into a listener’s subconscious. 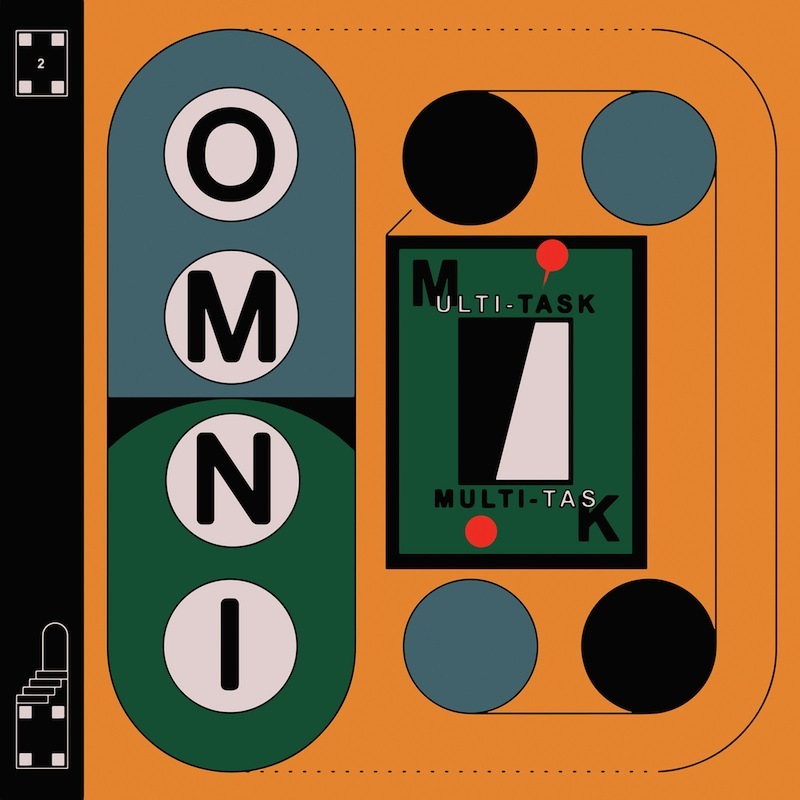 Omni’s latest album is Multi-Task; a compelling and consistent step forward for a fledgling band whose members share an enviable track record. Primarily made up of Frankie Broyles (ex Balkans/Deerhunter) and Philip Frobos (Carnivores), the group employs elements of glam and twee to dilate the band’s signature frenetic punk. The release begins to solidify the band’s discography and is impressively consistent across the tracklis, especially considering it’s only been a year and a month since their rock solid debut. Treble caught up with Frankie Broyles and Philip Frobos to throw a few questions their way. We were able to chat about their opening for Billy Idol, James Bond and their excellent new record Multi-Task. Treble: When you talk about Omni and your first record in a few interviews, you both agree that the writing process was very natural and there was not much thought—you’d just let things happen creatively. Was this the same case for Multi-Task? If so, did you ever mix it with any new approach? Frankie Broyles: Things were definitely a little more deliberate this time. We had a clearer idea of how we wanted things to sound. Philip Frobos: It was about half the same process and half weeding out ideas that seemed too similar to Deluxe. We wanted to explore a bit more and combine ideas we might not typically put together. It was fun being a little more adventurous. Treble: Deluxe seems to contain a bit more poppy and straightforward songwriting than Multi-Task. Would you say you were more interested in testing the limits of Omni’s sound the second time around? F: Yeah, I think so. It’s kind of something that just naturally happens. We have to keep it interesting for ourselves. P: Definitely, it was really just about not being afraid to try out new ideas or more sparse parts. Treble: A few songs like “First Degree” and “Calling Direct” have almost mini musical “epilogues” brilliantly tacked onto the end of songs. Can you tell me more about them? F: The “First Degree” ending just kind of happened. It was improvised at the end of the demo and we liked it. The ending of “Calling Direct” came out of indecision really. We wrote the first ending but decided it didn’t feel right…so we wrote the second. We were unsure on what to do. Nathaniel came up with the idea to combine the two endings so, we did. Treble: For Deluxe, you guys recorded songs in a day, within hours. Was it the same deal for Multi-Task? F: The demoing process was the same but with Multi-Task, we took more time to work on the final recordings. First, drums and bass were recorded in Atlanta. Later, guitar, vocals and additional bass were recorded in Vienna, Ga. I did some minor overdubs and piano parts in the last few days leading up to our deadline. Nathaniel had access to a larger selection of equipment this time and we were able to record in a more controlled environment. We were also working with a deadline which was exciting and scary. Treble: How was recording Multi-task with Nathaniel Higgins at his studio in Georgia? F: Great! We love recording with Nathaniel and we love Nathaniel. A very rewarding experience. We wouldn’t be the band we are without him. Treble: On Valentine’s Day earlier this year, you released a 7-inch with “Fever Bass” and “Thesis,” were these tracks ever intended for Multi-Task? F: Those songs were written around the time we were writing Deluxe. Though we really liked the songs, they didn’t make it to the record. Henry Owings, who runs Chunklet, offered to do a 7-inch with us and everything fell into place. Treble: What’s your favorite Roxy Music album? And which album would you say has the biggest influence on Multi-Task? F: Recently it’s been Avalon. My dad always used to play it when I was a kid but until this year, I’d never spent much time with it on my own. “True to Life” has become somewhat of a touring theme for me. P: That’s a tough call. It’s always been a toss up between For Your Pleasure and Stranded for me. Tough to say for the overall album though. Treble: You guys have mentioned DJing around Atlanta and how the records you played were an influence on Omni’s sound, what records stick out looking back at that time of the band’s genesis? P: The band Shoes definitely sticks out. The first two albums, One in Versailles and Bazooka in particular. Definitely enjoyed some 10cc records as well. Treble: Frankie, you released a great EP back in May called Slow Return, an album containing a few tracks that have been around for awhile, correct? Do you think any of the sampling, recording and instrumental experimentation will make it to an Omni record? F: Thanks! Yeah, a few of those songs had been around for quite a while. I’m trying to work faster. I love experimenting in the studio when time allows. I think it’s safe to say that one can expect further experimentation with future Omni releases. Treble: How was opening for Billy Idol? Did anything interesting happen? P: It was a cool yet odd experience because our first LP wasn’t even out yet. It was definitely fun to play to those crowds. I met him briefly and he was very kind. He puts on a fantastic show as well. F: A very fun, surreal time. A woman called me “four-eyes” during one show. I wear glasses. Treble: You guys said you watched the entire Bond collection on mute with subtitles during the recording of Deluxe. Do you guys have a favorite Bond? Favorite specific character? P: My personal favorite is Roger Moore (not a popular opinion I know) but I definitely see the good in all Bonds. Roger Moore is just so fun, and he’s a lover, not a bruiser. All of his movies are just a little bit more adventurous. For instance, in Moonraker, he flies to Rio de Janeiro and then launches into space! My favorite odd ball character at the moment is Milos “Pistachio” Columbo. A greek smuggler and ally of Bond in For Your Eyes Only. He loves pistachios and even uses them to detect enemies. Treble: Philip, do you have a favorite bolo tie? P: My favorite is my grandpa’s old bolo. It’s a sterling silver oval. Almost shaped like a tortoise shell with triangular patterns inside.